Oh joy! Fairyland is going all winter ballet. Pretty ballerinas, sparkly tutus and magical hairstyles. Fairyland has plenty of snow queens. It even has a few wicked queens. But it only has one style queen: Kittie Lacey. 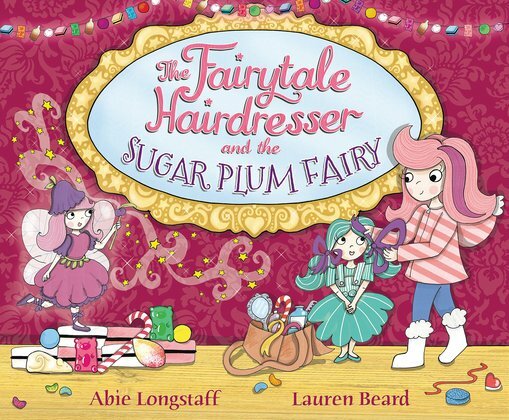 With her salon of storybook clients, the Fairytale Hairdresser creates magical looks all over Fairyland. Now it’s time for the winter ballet – The Nutcracker. A Christmas tale of sweets, fairies and enchanted toys. Doesn’t that sound perfect? But then the Prince of Sweets goes missing, and the Land of Sweets is attacked! Can Kittie save the day – and the ballet?